You’ve probably heard a few tech bloggers complain about the probable placement of the Galaxy S8’s fingerprint reader — It’s supposedly on the backside, next to the camera. Even I have already complained about this, but no amount of complaining and logical reasoning can fix the reported reason behind Samsung’s decision. 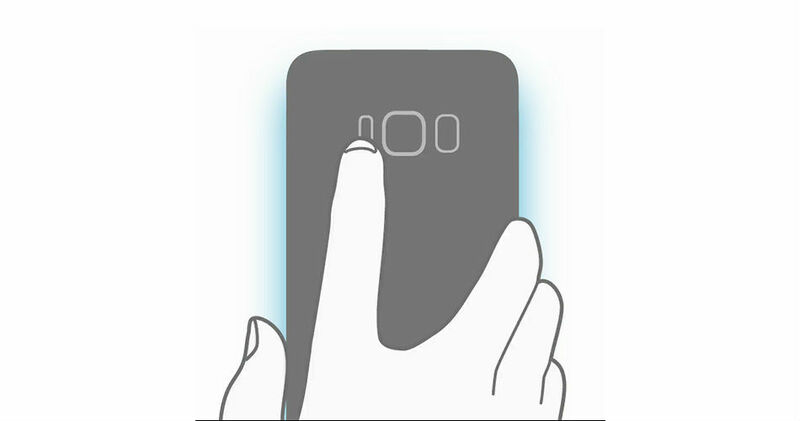 According to Korea’s The Investor, Samsung and Synaptics simply ran out of time with regard to developing the technology needed to implant a fingerprint reader into the Galaxy S8’s massive front display. This same tech was detailed earlier by Synaptics last year, but as we can see, it’s not quite ready for implementation. Dating back to last year, initial rumors were that Samsung would put the fingerprint reader inside the display. It was sort of a wishlist feature, but when Synaptics detailed its technology and we began seeing very rough device renders, it seemed in the realm of possibility. Now, as it supposedly turns out, it was Samsung’s plan initially. Now, on the bright side, while the Galaxy S8 may not have a bezel-less display with fingerprint reading tech built-in, it seems like a safe bet that we should, could will see it in the future. If not from Samsung, though, then Apple. It is being reported that Cupertino is also working on this technology for use on the iPhone. In the meantime, enjoy dirtying up your camera while you attempt to locate your fingerprint reader.